RCL lifting anchors are flat steel parts with ribbed steel bar for anchoring. Main usage of RCL lifting parts is lifting of one storey high balcony columns. 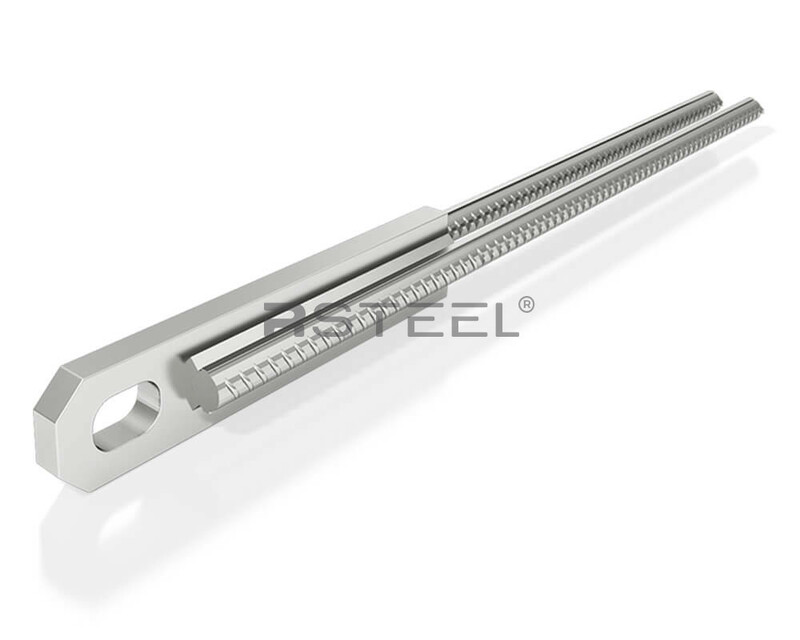 RCL lifting parts are made entirely of stainless steel. RCL lifting parts are not removed or cut after nstallation of column. RCL lifting parts remain in structure and can be used eg. for anchoring horizontal forces in connection between balcony column and balcony slab. or similar ribbed steel). Reinforcement of column may be used as reinforcement of RCL lifting parts. dditional reinforcement is primarily to prevent concrete breaking during lifting and installation of column.